In today’s interconnected world, every company is a media company and the demand for strategic digital communication has skyrocketed. 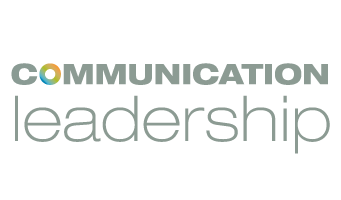 To meet this growing need, the Communication Leadership graduate program is launching an online Storytelling & Content Strategy Certificate Program in winter 2015. Rather than focusing on mastering ephemeral web tools, the program’s goal is to endow students with a lasting framework for handling content at all stages. That includes determining the needs of one’s audience, creating a powerful user experiences and measuring success. The certification will provide a competitive advantage for communications professionals of all stripes, insuring that students can make the leap from simply broadcasting information to crafting engaging, authentic relationships. The year-long curriculum breaks down into three consecutive classes: Content Creation, Content Strategy and Content Science. Each will be taught live and online by practicing content strategists and stress collaborative learning and problem solving through real-world client case studies. As part of the Comm Lead umbrella, the Certificate Program will draw from a dynamic network of industry experts, allowing students access to great speakers, professional connections and a valuable window into the field as it works today—from the comfort of their own home. The Storytelling & Content Strategy Certificate Program is now open for enrollment. Classes begin January 6.